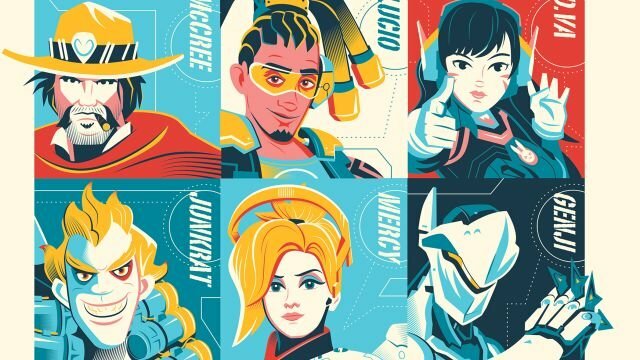 The world could always use more heroes, and Bottleneck Gallery have stepped up to the challenge with an all-new Overwatch print featuring the game’s original 21 heroes. Download the Overwatch print from the gallery below and check out all of our previously-revealed Bottleneck prints! Hailing from artist Dave Perillo, the 12 x 36 print is limited to a 250 run which can be bought at $50 each over at BottleneckGallery.com and DarkInkArt.com starting Friday, February 3rd at 12 PM Eastern time. Overwatch is available now on PC, PlayStation 4, and Xbox One.